Oftentimes customers will have data stored in Quickbooks which they would like to transfer over to TrackVia. 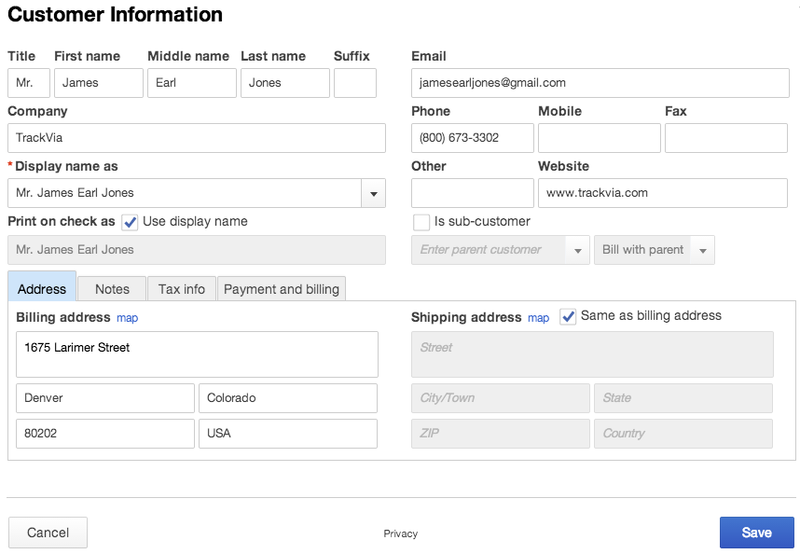 Learn how to transfer data from Quickbooks Online to TrackVia by following the steps below. Select Quickbooks Online as your trigger app and TrackVia as your action app. Let's set it up so that anytime a new customer is added to Quickbooks, a new record will be added to our TrackVia Customers table. 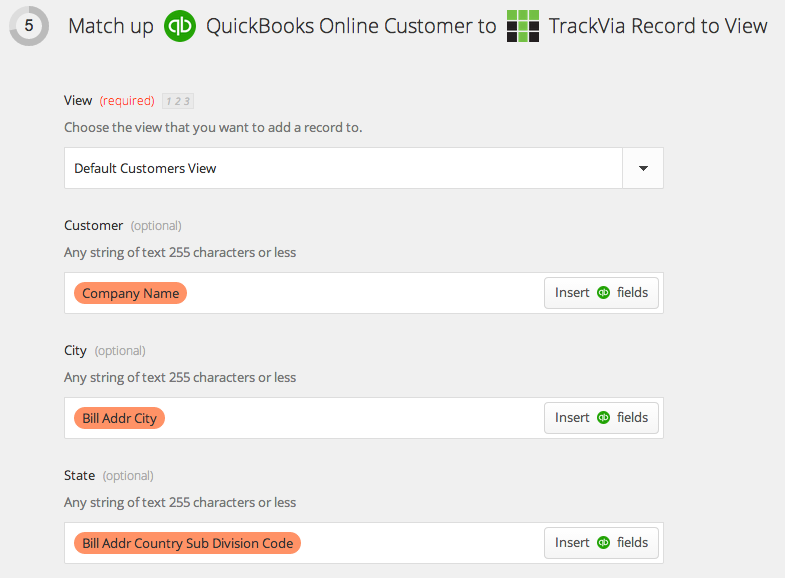 Feel free to add a filter to specify certain situations when you want QuickBooks to add a record to TrackVia. We won't add any filters for this example since we want to add a new customer to TrackVia anytime a customer has been added to QuickBooks. And we can see the record get added to our Customers table in TrackVia!